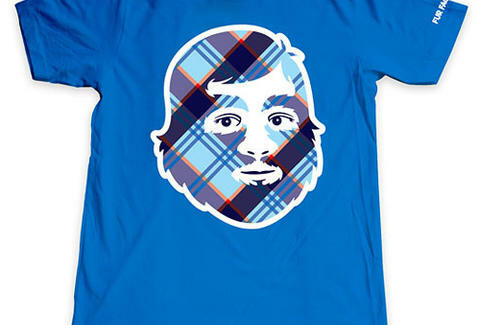 The Dallas t-shirt co.'s just unleashed its Teen Wolf-esque Series 5, a combination of fresh takes on old styles (the portrait-style "Plaid", w/ blue & navy hair and beard), and brand newness like the futbol-styled "F.C.F.F.B." and "A.B.A. ", featuring a hairy basketball perched atop a hoop, a trippy scene one might hallucinate after going one-on-one with a Dr. J.